Young, creative entrepreneurs are changing the beverage landscape in Nevada’s third-largest city. 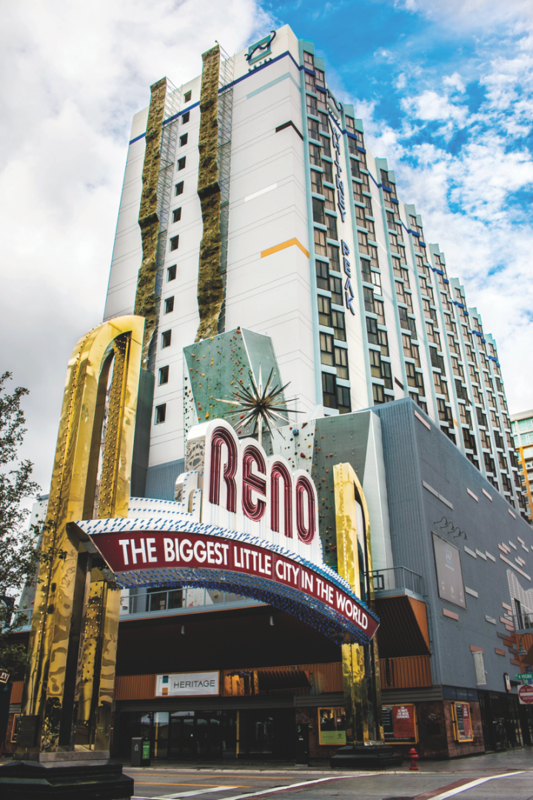 Reno, which long suffered as the sleepy alternative to glitzy Las Vegas, is recreating itself with gusto as a new generation of beverage entrepreneurs and upscale casino bars imbue the city with an energy spurred by a brighter economy and business development. Examples of this revitalization include the $100 million Grand Sierra Resort and Casino renovation with its $15 million Lex nightclub, the proliferation of local producers like The Depot Craft Brewery Distillery and the opening of creative cocktail bars, such as Chapel Tavern and Death & Taxes Provisions & Spirits. This greatly enlivened drinks scene is part of Reno’s evolution from a casino-centric town to a place young families visit for athletic tourism and where high-tech start-up wizards spend a few days exploring real estate options. The Whitney Peak Hotel, which opened in June 2014, made a bold statement by taking over the closed downtown Fitzgeralds Reno casino and marketing itself as a non-gaming, nonsmoking hotel, complete with a 164-foot outdoor rock climbing wall. Hotel managing director Niki Gross says the hotel is booking fast, and clientele includes business travelers who are putting together the city’s new Tesla Motors battery factory. Whitney Peak’s Heritage restaurant is operated by innovative chef Mark Estee’s Reno Local Food Group, which also owns the market-cafeteria hybrid Reno Provisions, the Italian eatery Campo, the modern café Chez Louie inside the Nevada Museum of Art and the fast-casual joint Burger Me. At Campo, general manager Justin Jensick oversees the beverage program. A best-seller on the venue’s cocktail list is the A-O Margarita ($11)—named for two of its ingredients—comprising Casa Pacific Reposado Tequila, Ancho Reyes chili liqueur, Regans’ No. 6 orange bitters and house-made Curaçao liqueur, with a sweet and spicy coffee rim. “Our cocktails lean toward the acidic to be more food-friendly,” Jensick says. He avoids flavored vodkas and prefers brands like Ketel One, noting that “it has a nice mouth feel and is a little peppery.” Well drinks at Campo are $6; specialty cocktails range from $9 to $12. Casinos—which used to keep gamblers happy with a decent well whiskey—are finding they must join the craft movement to stay competitive. “The public is more savvy to specialty drinks,” says Tommy Cortopassi, general manager at Charlie Palmer Steak at Grand Sierra. “Craft cocktails are becoming more mainstream.” Unquestionably the biggest culinary name in town, Charlie Palmer Steak caters to its guests’ desire for cocktail creativity. “It’s no longer just an olive or an onion,” Cortopassi notes, adding that fresh ingredients cost more. Specialty cocktails average $12, and Grey Goose, Chopin and Elit by Stolichnaya are the best-selling vodkas. Capturing the consumer love affair with brown spirits, Grand Sierra, Peppermill Resort Spa Casino and Atlantis Casino Resort Spa are wooing whisk(e)y aficionados with almost encyclopedic assortments, special events and food pairings. Atlantis beverage manager Holly Buchanan launched a whisk(e)y program at the Sports Bar & Lounge in March, offering 90 whiskies from $5.50 a 1¼-ounce pour for Jim Beam Bourbon to $45 for Johnnie Walker Blue Label blended Scotch whisky. The resort brought in Tom Turner, Diageo master of whisky, to train the bartenders and servers. Buchanan says younger customers still like to do shots and gravitate toward Angel’s Envy Bourbon ($9). In November, the casino will host a “Whiskies of the World” food pairing dinner. The Charlie Palmer Steak lounge offers world whiskies and cocktails made with fresh ingredients. Likewise, Charlie Palmer Steak hosted a “Whiskies of the World” food pairing ($78 a person) earlier this year that featured Dewar’s 18-year-old blended Scotch whisky. The venue’s top-sellers include Basil Hayden’s Bourbon ($12 a 1¾-ounce pour) and Bulleit rye whiskey ($10), and the cocktail menu lists such signature drinks as the Lower Manhattan ($12), made with Bulleit rye, Tia Maria coffee liqueur and Angostura bitters. Peppermill lists more than 150 whiskies ($9 to $75 a 2-ounce pour), including Pappy Van Winkle’s Family Reserve 23-year-old Bourbon ($75 a 1-ounce pour). The Terrace lounge features the Apurikotto No Hana cocktail, made with 12-year-old Yamazaki whisky, house-made ginger simple syrup, Marie Brizard Apry apricot liqueur and fresh lemon juice (specialty drinks are $11). The casino also offers whisk(e)y flights, such as the “Ultimate” ($265 for four 1-ounce pours), which includes The Balvenie Portwood 21-year-old single malt Scotch whisky, The Macallan 25-year-old single malt Scotch whisky, Crown Royal XR Canadian whisky and Johnnie Walker Blue Label. While catering to nouveau tastes, Peppermill hasn’t forgotten the older clientele who enjoys the casino’s ’70s hipster vibe, a product of its Las Vegas origins. Peppermill still operates the Fireside Lounge, which features a round fire pit. “Retro is in,” Moritz says. “We don’t have to go back. We’re there.” Customers can order the classic Creamsicle cocktail ($11), made with Grey Goose L’Orange vodka, Godiva White Chocolate liqueur and vanilla bean ice cream. The cocktail bar Chapel Tavern embraces craft spirits, offering 200 whiskies and a line of artisanal cocktails made with unusual ingredients like clove tincture and cigar-infused rum. The drinks den has an intimate vibe and unique style elements. 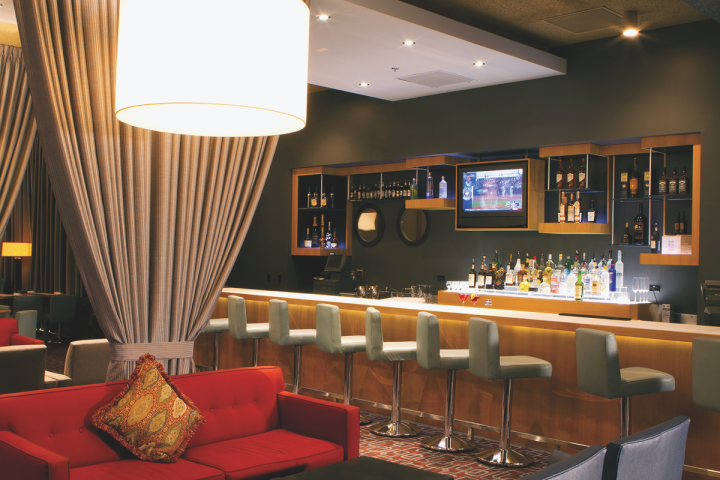 Patrons looking for a well-crafted drink outside the casinos can choose from a bevy of establishments from entrepreneurs looking to make their mark on a city that’s ready for a refreshed bar scene. “Five or six years ago, Reno was a Jameson and Pabst town,” recalls Chapel Tavern owner T. Duncan Mitchell. Along with Death & Taxes and Midtown Eats, Chapel Tavern is among the venues focusing on cocktails for customers who have come to expect individuality and a willingness to invent a drink on the spot. Mitchell is a 15-year bar business veteran and widely respected by local peers for his commitment to elevating the cocktail scene. Three years ago, he took over the closed Ten99 club and remodeled it into a relaxing space with unique touches such as a ceiling made of burnt wood, which he discovered during renovations. Chapel Tavern customers are “progressive people who support local business in the craft,” Mitchell says. He offers artisanal cocktails and lists 200 whisk(e)y selections ranging from $5 a 1½-ounce pour for Evan Williams Bourbon to $50 for Bruichladdich Black Art 4 single malt Scotch whisky. Specialty drinks ($10) include the Boulevardier Barrel-Aged Black Manhattan, made with Old Grand-Dad Bottled-in-Bond Bourbon, Cherry Heering liqueur and Montenegro amaro, and the Mind Kontrol, comprising Illusione R Rothchildes cigar–infused El Dorado 8-year-old rum, house-made clove tincture and orange zest. Chapel Tavern is indicative of the newer wave of cocktail venues: smaller, intimate spots with a chill vibe that are focusing on craft spirits and providing patrons with physical spaces far different than the traditional bar. One of the most inventive is Death & Taxes, whose décor is “Phantom of the Opera” meets speakeasy. Located in a renovated Midtown District house, the venue features classics like the Cuba Libre ($11), blending Atlantico Platino rum, Skipper Dark rum, house-made cola syrup and lime juice, and five variations on the Gin and Tonic ($9 to $11). 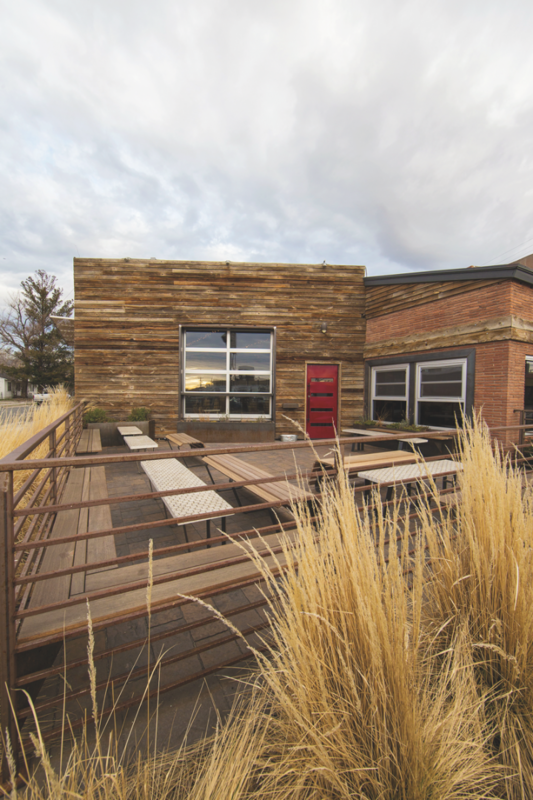 Reno’s breweries mirror the national explosion of new, locally crafted beers. “We are one of the up-and-coming craft beer towns in the country,” says Michael Connolly, owner of Sierra Tap House, The Brewer’s Cabinet, Ole Bridge Pub, and Legends Grill, Sports & Spirits. “Reno is a big test market for new batches by major brands.” Eight of the 12 drafts ($5 to $9 a pint) offered at Sierra Tap House in the city’s Riverwalk District come from Sierra Nevada Brewing Co. The Brewer’s Cabinet produces the Tahoe beer label—including a blonde ale, an amber ale, a pale ale and a summer wheat—and the brand is doing so well that it opened a new production facility in July and is launching a line of cans and kegs. Tahoe brews sell for $5 a pint at The Brewer’s Cabinet. Reno’s other brewpubs include Pigeon Head Brewing Co. and Great Basin Brewing Co. “So far, everyone is doing great. Even with competition my numbers are going up,” Connolly says. Launched in 2014, The Depot is an ambitious 17,000-square-foot, multilevel restoration of a 1910 railroad station in Downtown Reno, which attracts locals, tourists and baseball fans who are going to the nearby ballpark to see the Reno Aces minor league team. “It’s the gentrification of the area,” says Justin Stafford, a partner in The Depot. “Reno is enjoying such a resurgence with the craft beer scene and tech companies. We’re more influenced now by a younger Portland or Seattle image.” The brewpub produces six flagship beers ($5 to $8 a pint), including top-sellers The Voyager IPA ($6) and The Ranch Hand American ale ($5). The Depot is also a landmark small-batch distillery and produces Depot Silver unaged corn whiskey ($30 a 500-ml. bottle), which is sold at Total Wine & More, Raley’s grocery stores and other local markets. Its Biggest Little Bourbon ($34) and High Country gin ($32 a 750-ml. bottle), made with Citra hops, are sold in The Depot’s front retail area. The distillery buys corn from Frey Ranch. 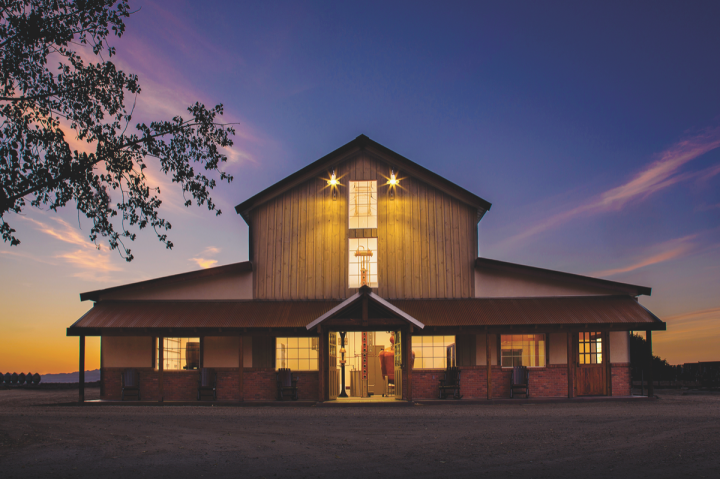 Fifth-generation feed grain farmer Colby Frey and his wife, Ashley Frey, now use 50 percent of estate-grown crops for their own distillery, which has a production capacity of 10,000 cases a month. Frey Ranch Distillery’s whiskey—set for release in four to six years—is already showing tremendous promise, with its spice notes and superior grain quality. The Freys also produce a four-grain vodka ($25 to $29 a 750-ml. bottle) that’s sold at Total Wine, Whole Foods and other markets, and they’re releasing a gin ($32) this fall. In addition, Colby Frey owns Churchill Vineyards, which produces a VSOP brandy ($25) that’s aged for five years, as well as several varietals of wine, including Riesling, Gewürztraminer and Chardonnay sourced from estate vineyards and Merlot, Cabernet Sauvignon and Petite Sirah from California. 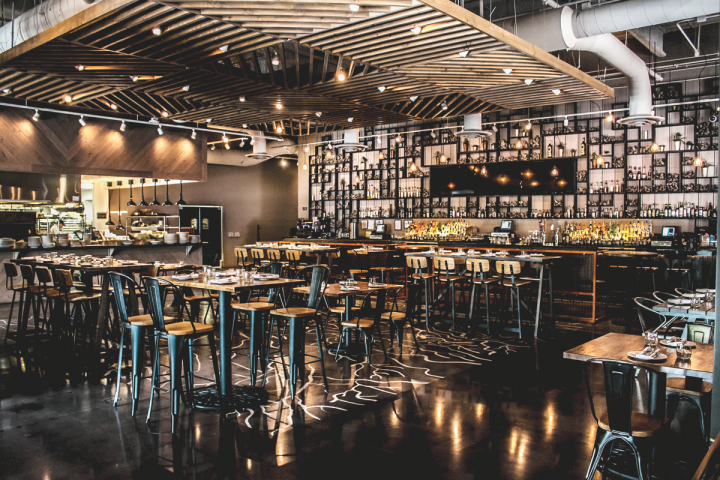 Reno pulls a healthy portion of its tourist trade from California, whose visitors expect a thoughtful representation of California wines on lists, according to Charlie Palmer Steak sommelier Dave Nagengast. Along with an extensive selection of California wines, the Wine Spectator “Award of Excellence”–winning list ($30 to $3,000 a 750-ml. bottle) features international offerings that have more “meat to the bone” and appeal to connoisseurs, Nagengast says. Global reds include the 2012 Catena Vista Flores Malbec from Argentina ($40), the 2010 Giuseppe Lonardi Amarone Classico DOC from Italy ($115) and the 2008 Château Lynch-Bages Grand Cru Classé Pauillac from France ($315). Bistro Napa restaurant at Atlantis draws up to 120 guests during its happy hour half-off promotions. Shelly Curt, food and beverage creative development manager, says the 8-ounce by-the-glass happy hour wine offerings are popular. Regular by-the-glass prices are $9 for house wines to $30 for Moët Chandon Impérial Champagne. Standout red blends by the glass include Orin Swift Abstract ($18), Stratton Lummis The Riddler ($15) and Twisted Oak River of Skulls ($20). Wine lovers gravitate toward independent venues like the Craft Wine & Beer store, which has an eclectic selection of European and sparkling wine, as well as the Whispering Vine Wine Co. and Beaujolais Bistro, which won a Wine Spectator “Award of Excellence” this year. 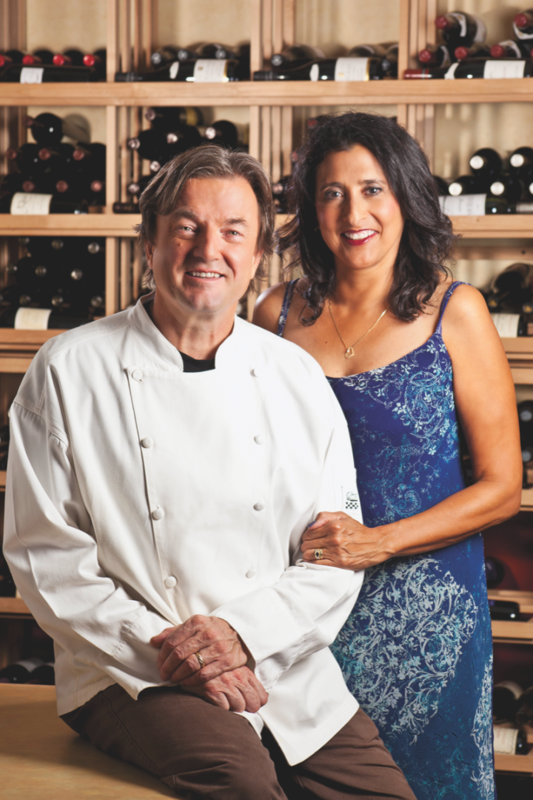 “Reno is a more narrow wine scene, but what we do, we do well,” Curt says. Reno’s emerging young, modern food and bar lifestyle is a magnet for tech start-ups, says Doug Erwin, vice president of entrepreneurial development for the Economic Development Agency of Western Nevada. He notes that as a start-up town, Reno is ideal due to its good location for logistics and shipping, available workforce, support from early stage investors and highly competitive real estate rental rates. The new 15 million–square-foot Tesla factory planned for just outside the city proper is one such development. “The construction marks a perception change that gives Reno more of a stamp of approval,” Erwin says. By the year 2020, Tesla is projected to bring some 15,000 jobs to the region. “The food and beverage folks are figuring out how to serve Tesla,” says Clint Jolly, cofounder of Reno Bites restaurant week. It’s a problem many cities would like to have.